The first jazz conference in Ireland will take place at the Dublin Institute of Technology, Conservatory of Music and Drama, Rathmines. Since it was first named, jazz has been a phenomenon of mass-distributed sound, word and image. While its vernacular origins and emphasis on improvisation give primacy to live performance, the consumption of jazz is largely mediated through documentation of some form. This process of documentation has arguably been just as important as, and in some ways more important, than ‘the music itself’, shaping its reception and spread throughout the world. 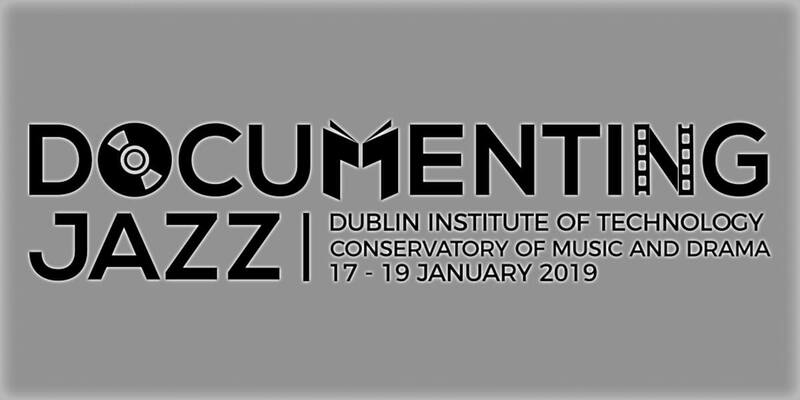 In marking the centenary of the first documented jazz performance in Ireland, this conference seeks to ask how and why jazz has been documented, both historically and contemporaneously. We invite participants to consider who and what has been documented, by whom, and for what purposes. Since Scott DeVeaux's ‘Constructing the Jazz Tradition: Jazz Historiography', jazz studies has become increasingly aware of its role in the construction of jazz narratives and of critically appraising the existing narratives. Krin Gabbard is Adjunct Professor of Jazz Studies at Columbia University. In 2014 he retired from Stony Brook University where he had, since 1981, taught classical literature, film studies, and literary theory. His books include Psychiatry and the Cinema (Univ. Chicago Press, 1987), Jammin' at the Margins: Jazz and the American Cinema (Univ. Of Chicago Press, 1996), Black Magic: White Hollywood and African American Culture (Rutgers Univ. Press, 2004), Hotter Than That: The Trumpet, Jazz, and American Culture (Faber & Faber, 2008), and Better Git It in Your Soul: An Interpretive Biography of Charles Mingus (Univ. California Press, 2016). At Columbia he teaches courses on jazz and American culture. He is the editor of two highly influential anthologies, Jazz Among the Discourses and Representing Jazz (both Duke Univ. Press, 1995). More recently, he has begun playing trumpet in a large jazz ensemble with reasonably talented non-professional musicians on Saturday afternoons. He is also contemplating writing a memoir about his parents. Gabriel Solis is a Professor of Musicology, Chair of Musicology, and Affiliate in African American Studies and Anthropology at the University of Illinois. He is the author of Monk’s Music: Thelonious Monk and Jazz History in the Making (Univ. of California Press, 2008) and Thelonious Monk Quartet with John Coltrane at Carnegie Hall (Oxford Univ. Press, 2014), and co-editor with Bruno Nettl of Musical Improvisation: Art, Education, and Society (Univ. of Illinois Press, 2009). His articles on jazz, popular music, and Indigenous music in Australia and Papua New Guinea have appeared in such journals as Ethnomusicology, Popular Music and Society, The Musical Quarterly, and MusiCultures. With the support of a faculty fellowship from the NEH, he is currently working on a book tentatively titled Music and the Black Pacific: Indigenous Artists and the African Diaspora. He is also working with an international consortium of digital jazz studies scholars on a project titled Dig that Lick: Analysing Large-Scale Data for Melodic Patterns in Jazz Performance.